Steaming is one of the easiest cooking methods for me as it doesn't require me facing the heat the whole time. 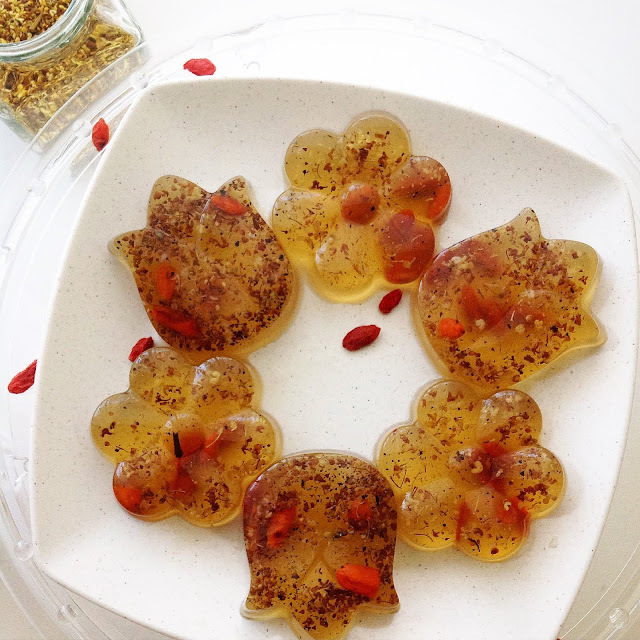 This steamed chicken with goji berries and Chinese red dates is believed to have lots of health benefits so it's a win-win. 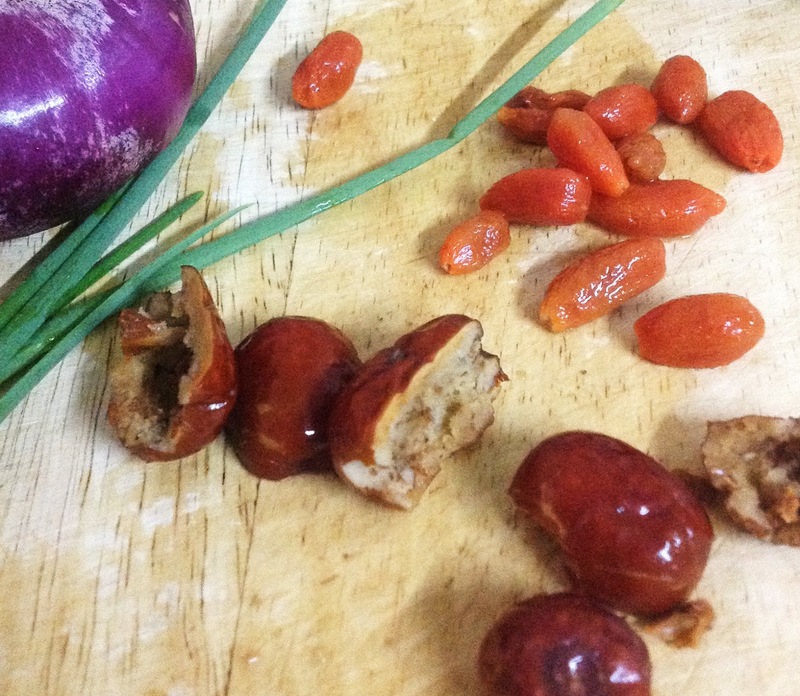 Soak the goji berries and red dates in a bowl of water to soften, then half the dates and remove any remaining stones from within. 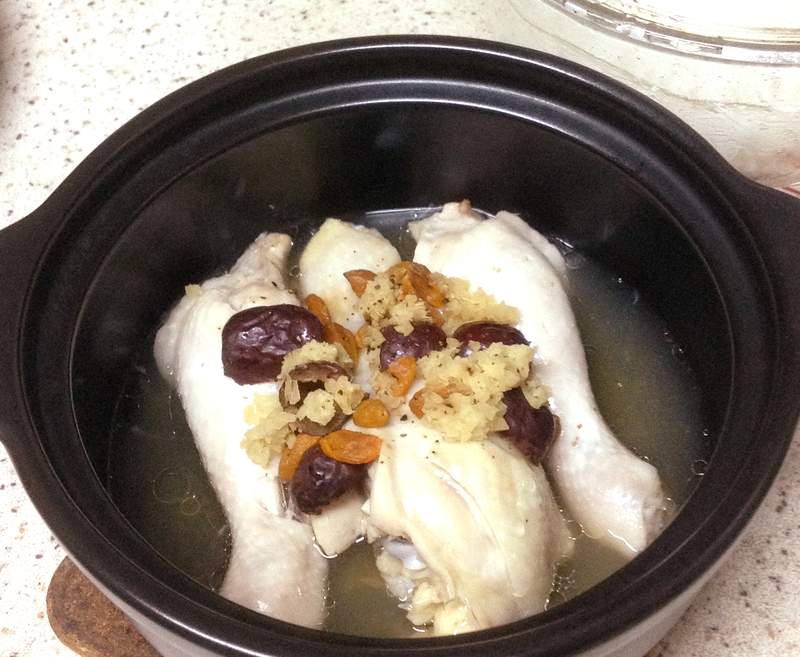 Arrange the chicken drumsticks nicely in a claypot (or a casserole dish or any deep bowl), tip the Shoaxing rice wine over the chicken. Season with salt and pepper. Scatter the chopped ginger then the red dates and goji berries. We do n't have a steamer so I've used a steaming rack and a stockpot. 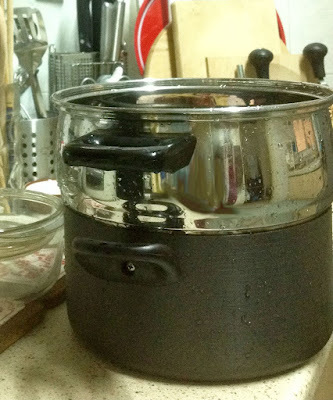 Fill the stockpot at least half full, with water; then place the steaming rack over it. 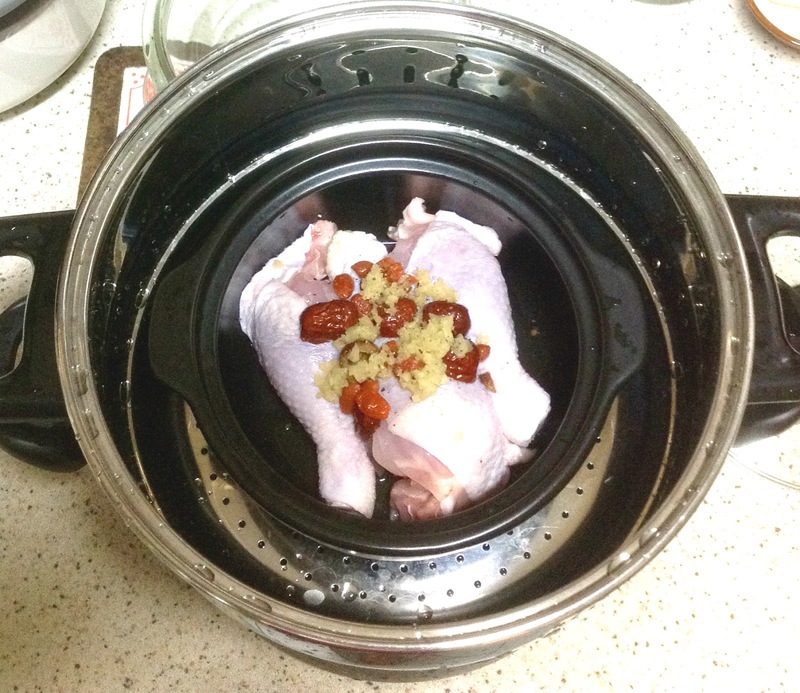 Some people would place the steaming set on the stove and cook till the water started boiling before they place the chicken into the steamer, but I personally prefer to just place it all in and steam at one go. The whole process takes about 40 minutes: boiling and steaming. To test if the chicken is cooked properly, poke a skewer through the thickest part of the meat. If the juices come out clear, it's done. If not, just carry on for another 5 minutes or so. There is no oil added to this dish, but the natural fat and juices from the chicken with blend in with the Shoaxing rice wine to make a really tasty soup. For optional garnishing, sprinkle the chopped spring onion over. Shallow fry the chopped onion in a little oil, pour over the steamed chicken or serve in a small bowl with some soya sauce as dipping sauce.